Palo Alto Dentist Dr. Heidari’s #1 Choice For Replacing Missing Teeth! Dental implants are the most stable and best solution for replacing missing teeth and the procedure is one which Palo Alto dentist Dr. Heidari has done repeatedly for many years. A dental implant will restore lost chewing ability, improve appearance, end embarrassment, and give real self-confidence to patients who need them. They are a real breakthrough! Dental implants are a bio-compatible, man-made substitute designed to replace missing tooth roots. The inner part resembles a screw and is made of titanium alloy or a metal-free ceramic material which is inserted into the jaw and over time fuses with the surrounding bone. The visible part is generally made of porcelain crown material and resembles a natural tooth. Dental implants differ from dentures and bridges in that they are inserted directly into the bone as a stand alone solution for missing tooth replacement. It is because of this that dental implants are rapidly becoming the procedure of choice among those who have suffered from tooth damage or tooth loss. Because of proven success, preservation of existing teeth, and no susceptibility to dental decay (cavities), dental implants are becoming the preferred method over the more traditional dentures and partials. 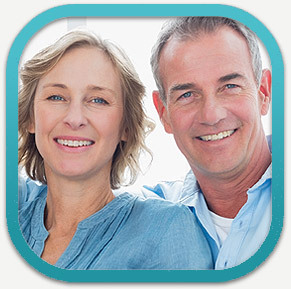 If you have one or more missing teeth, dental implants in Palo Alto may be the solution for replacing them. 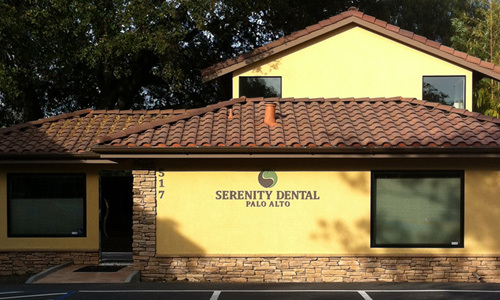 Call us today at 650.327.7525 or send us an email to Appt@PaloAltoDentistry.com and get the help you need. For more information about Dr. Heidari’s services or to schedule a visit, please visit our San Jose Dental Implants page or call our office at 408.999.0444. Please visit our Aptos Dental Implants page or call our office at 831.688.6531 if you have any questions you need answered.